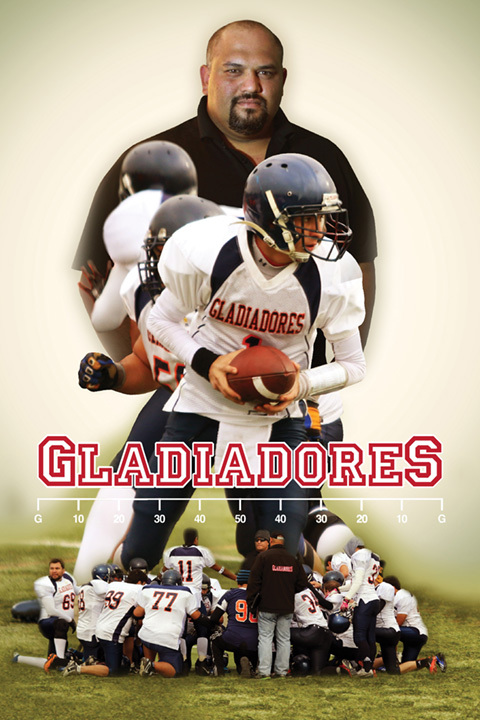 Gladiadores – Adler & Associates Entertainment, Inc. In Chile, where European football (i.e., soccer) is the dominant sport, Coach Carlos Zuniga offers at-risk teenage boys a unique opportunity to learn and play American-style football. He struggles through a grueling season trying to balance teaching the unfamiliar game to his players while fighting for recognition and funding from city officials who have no interest in the sport.